UCD Sub Aqua Club has an impressive range of facilities and equipment available to its members. Diving Gear The club has full sets of regs, bcds and tanks available for use by club members. These are prioritised for use by trainees and we encourage club members to start getting their own personal equipment as time goes on. The club also has tanks available for use by club members and air and nitrox filling facilities. It is important that all club members familiarise themselves with the rules regarding borrowing club gear and use of club facilities. For new trainees the club has some wetsuits, fins and masks available to borrow on dive and snorkel weekends for the start of the season, however we recommend that you get your own wetsuit, fins, mask and weights a soon as possible, as having your own gear that specifically fits you (and hasn’t been pee’d in by someone else!) will make your diving experience far more comfortable and warm! 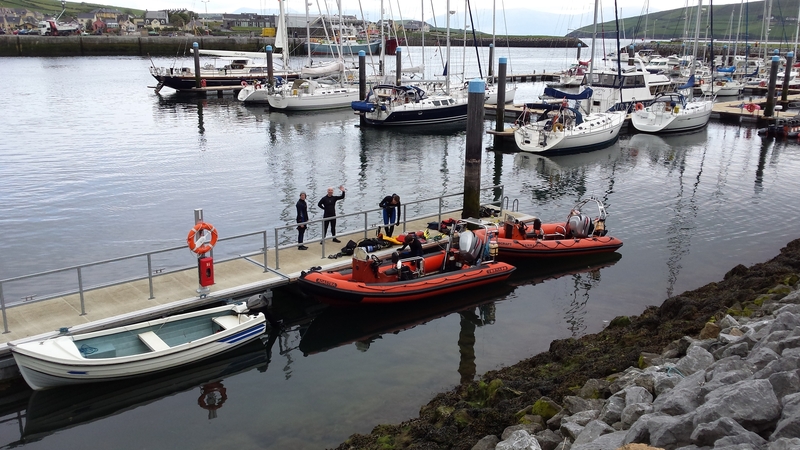 Boats The club has two Rigid Inflatable Boats (RIBs) which allow us to comfortably bring 16-18 divers to a dive site near to shore or 10-14 divers to sites up to 12 miles offshore. ‘Ad Astra‘ is our 6.5m Tornado RIB and ‘Barramundi’ is our 5.5m Ribcraft RIB. The club uses the UCD 50m swimming pool for training and underwater hockey. Weekly club dives are run from Dún Laoghiare Marina, where the club holds a year-round berth. This offers us an easily accessible location near to campus from where we can access many of the fantastic dive sites available in Dublin Bay. It also offers club members the added comfort of access to hot showers after diving and a warm changing room for changing out of wet wetgear. For enquiries regarding club boats, contact the Boat Officer. For enquiries regarding all other equipment and UCDSAC facilities, contact the Equipment Officer.